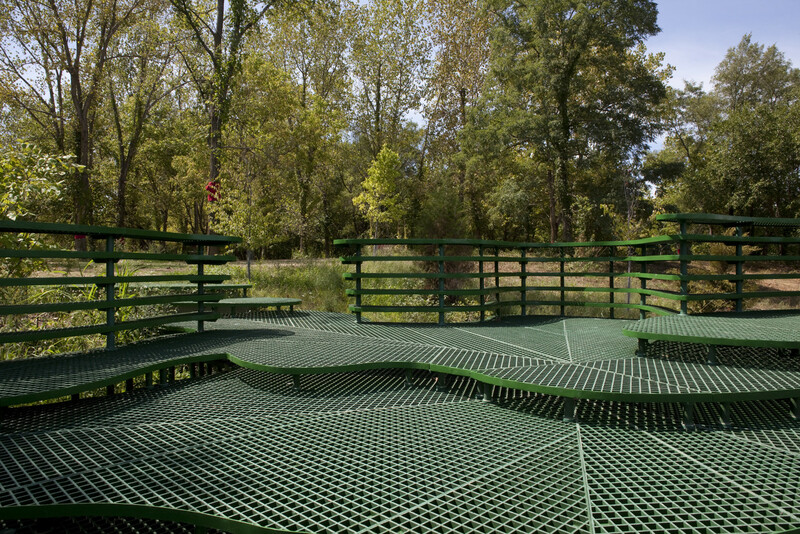 WKA assisted the artist Kendall Buster of Richmond, VA in the visualization and technical aspects of design and construction of her landscape sculpture piece entitled “Stratum Pier.” It is one of eight inaugural commissions located in the Virginia B. Fairbanks Art and Nature Park at the Indianapolis Museum of Art. 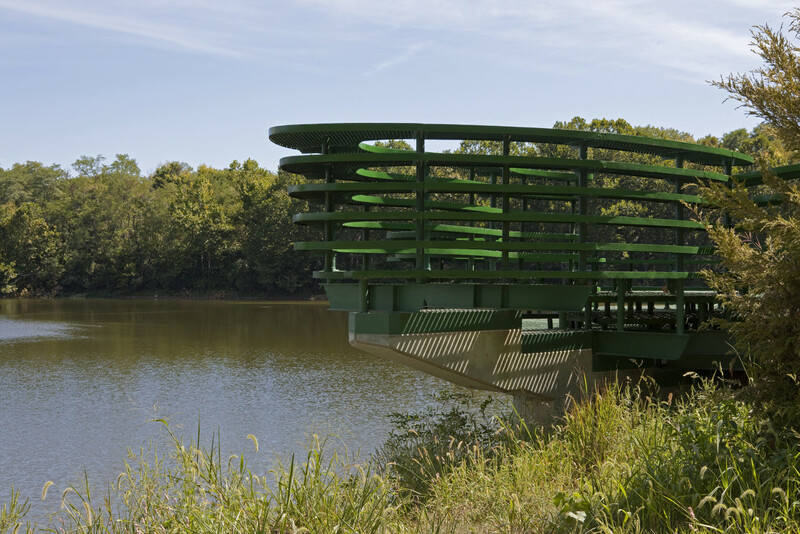 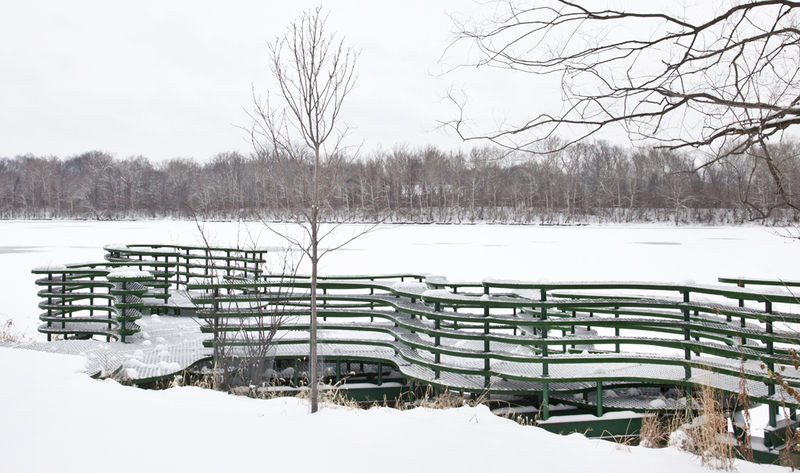 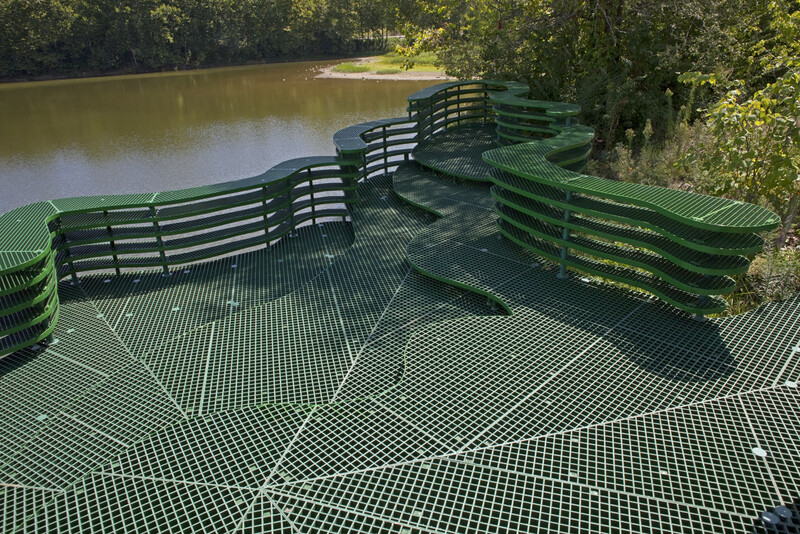 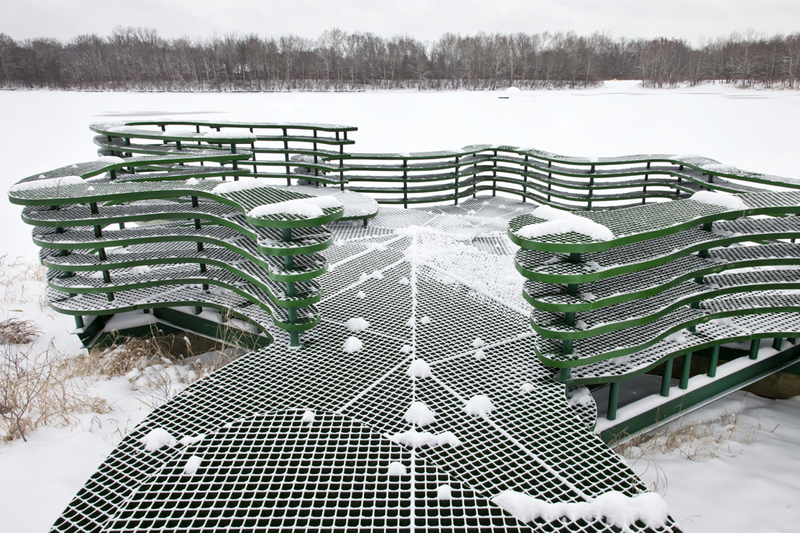 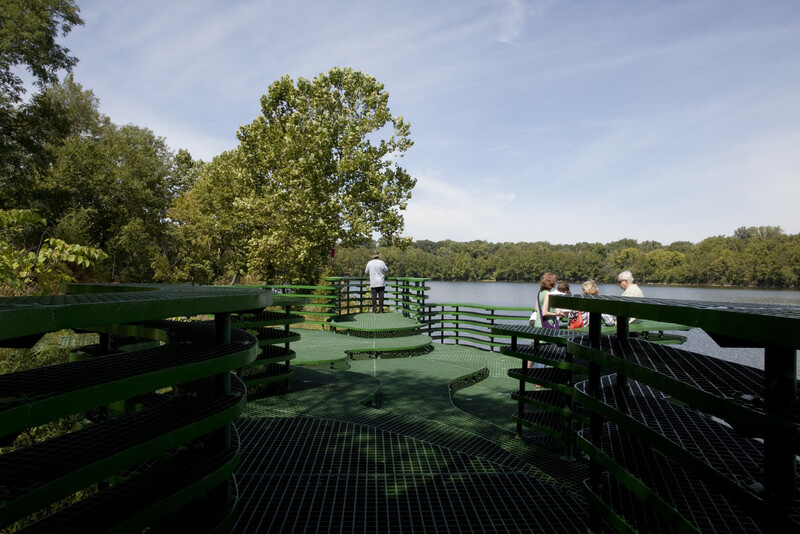 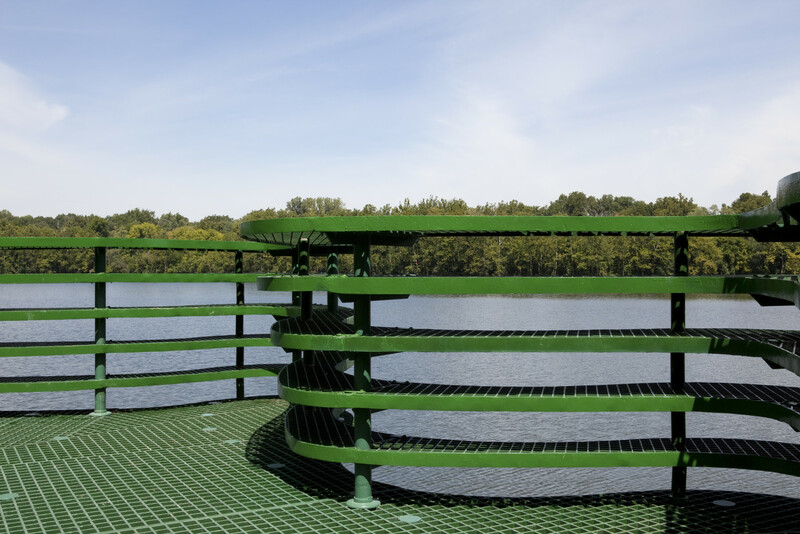 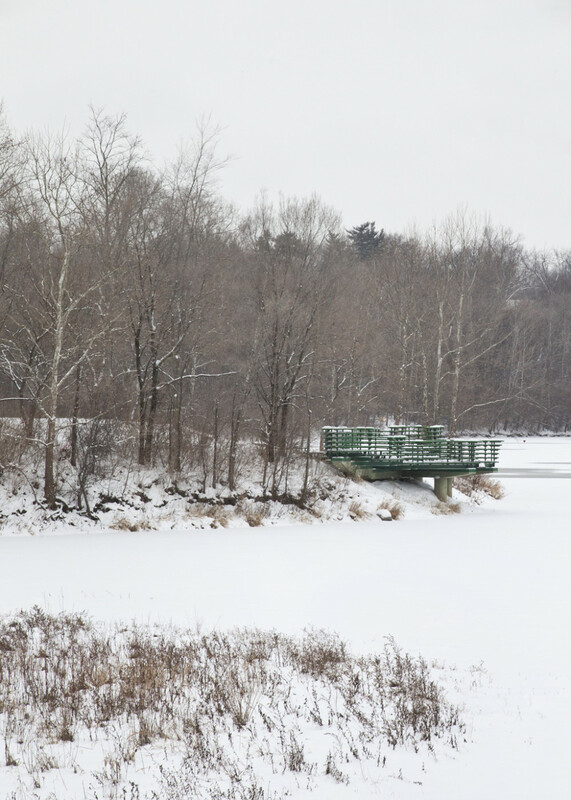 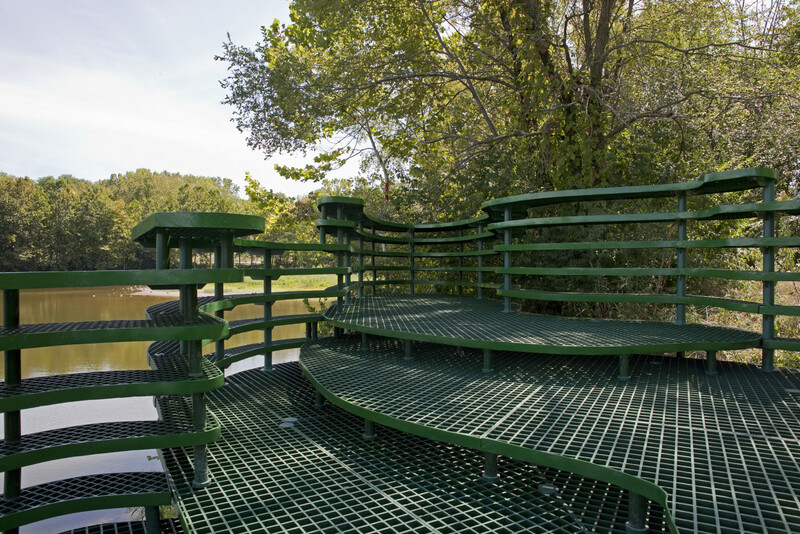 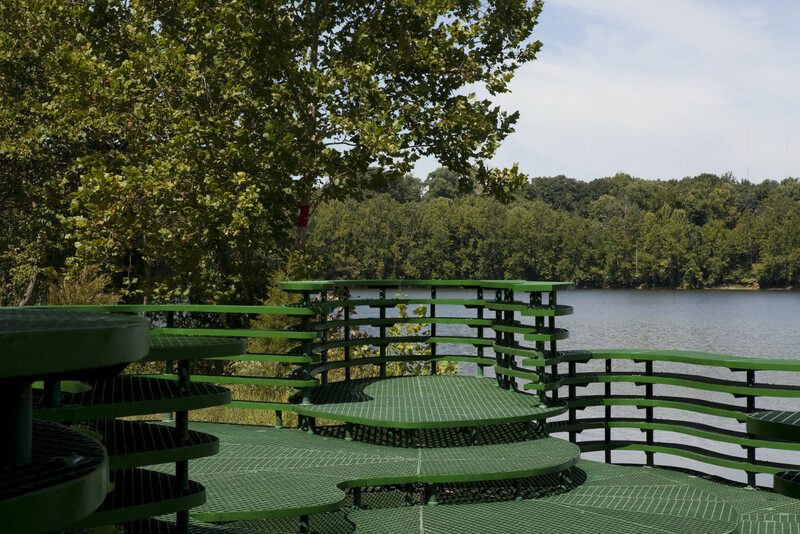 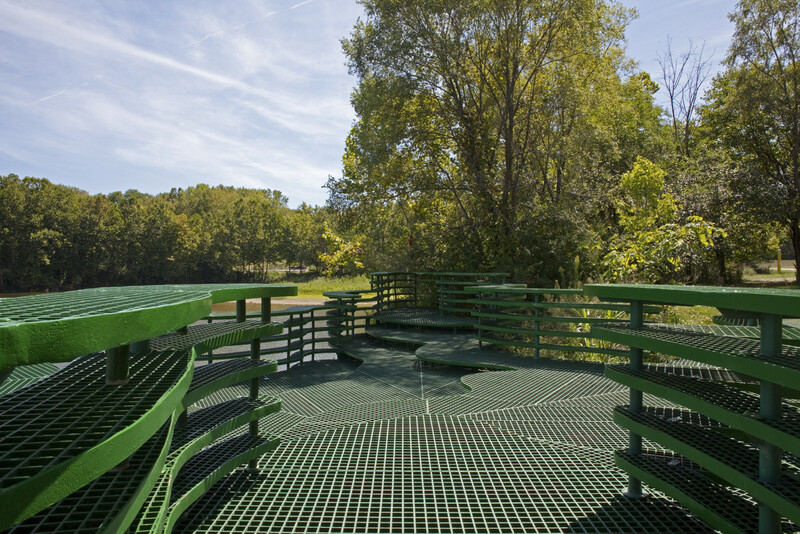 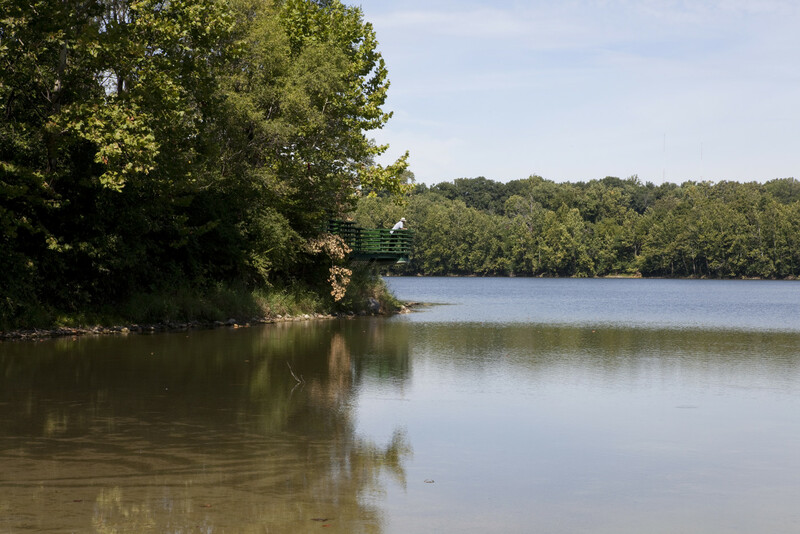 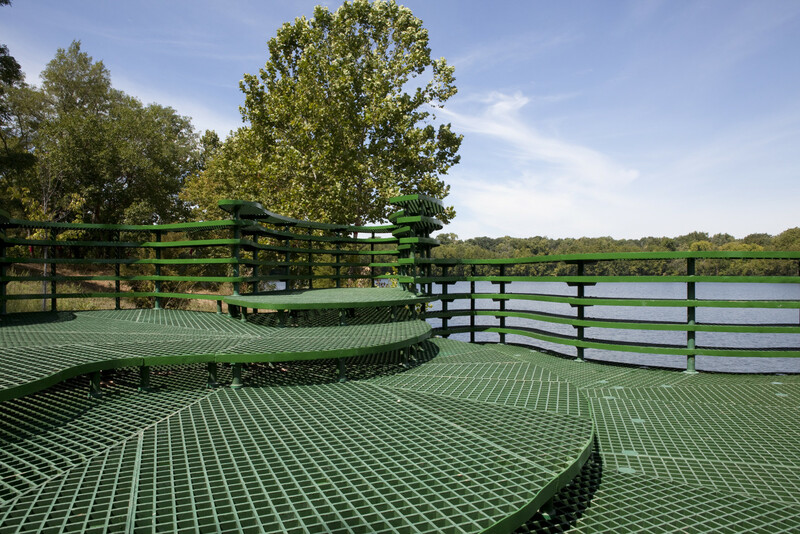 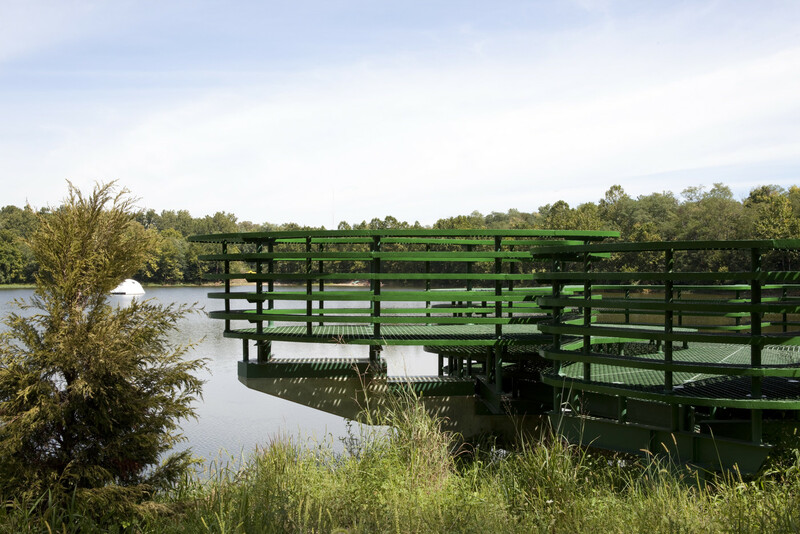 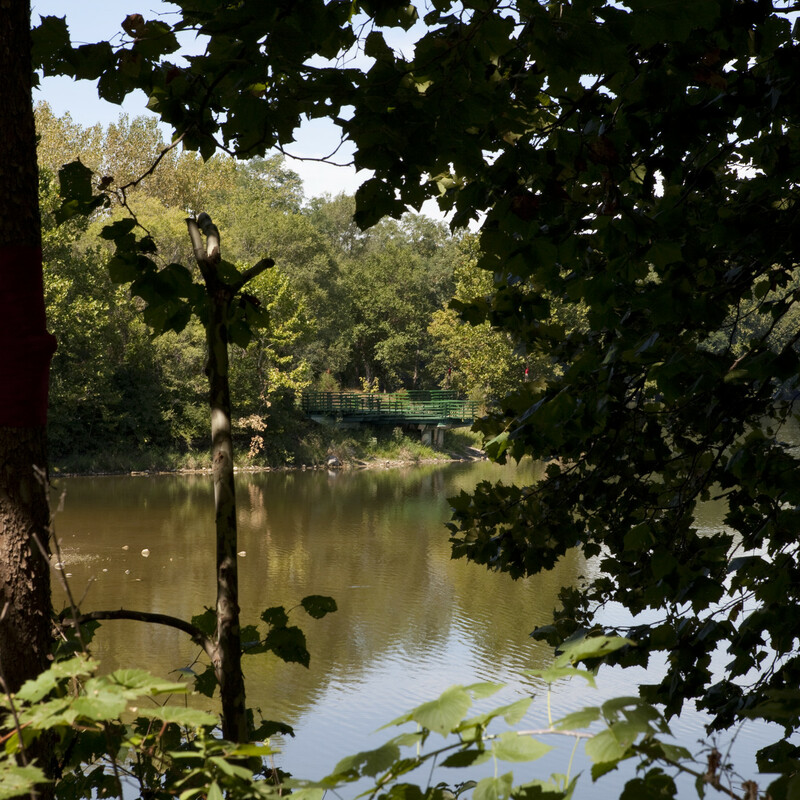 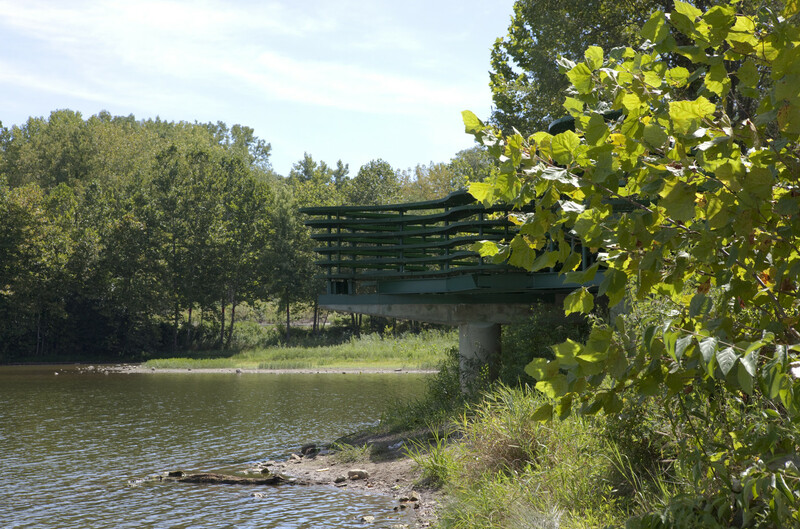 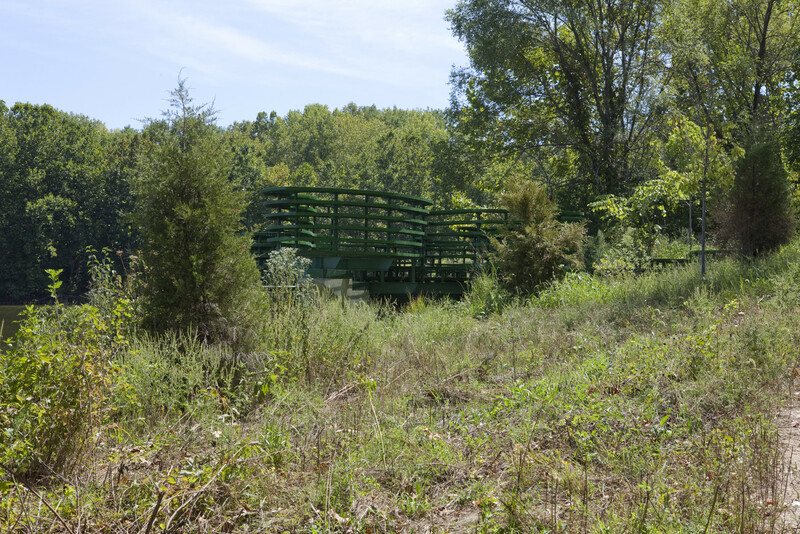 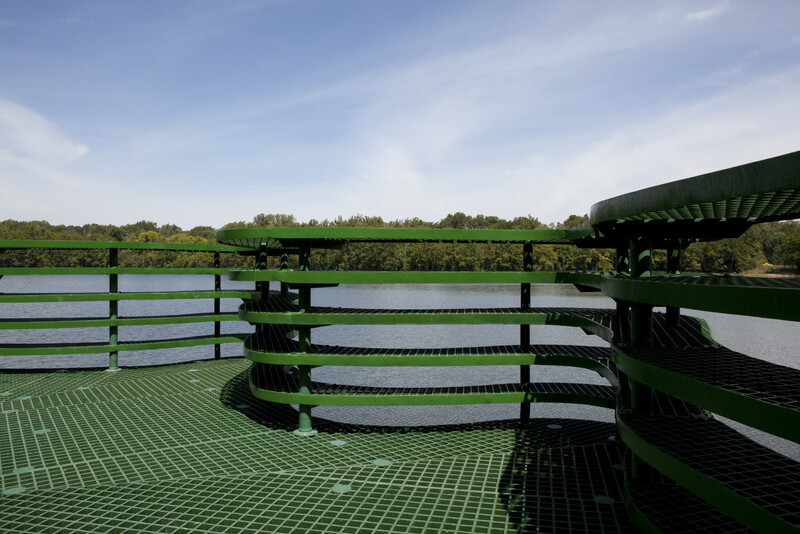 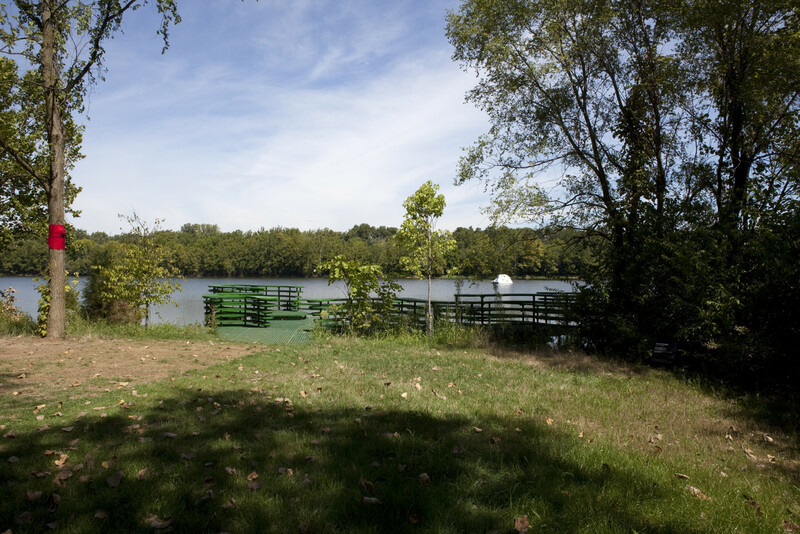 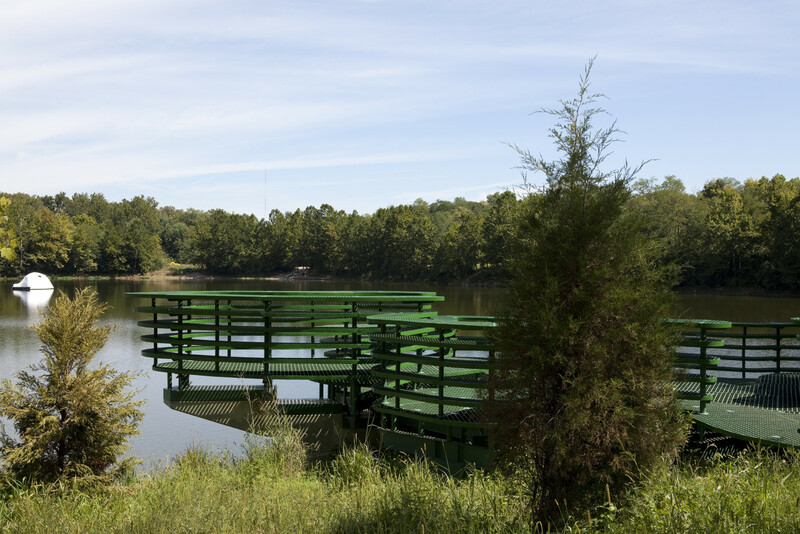 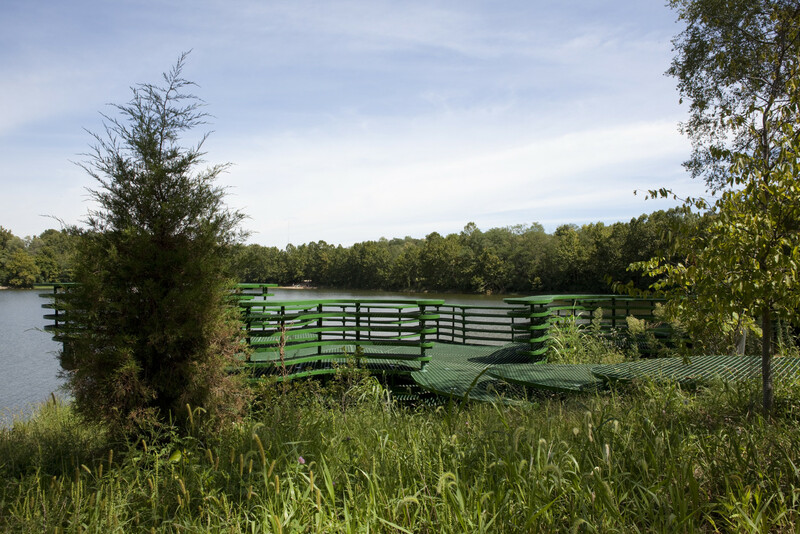 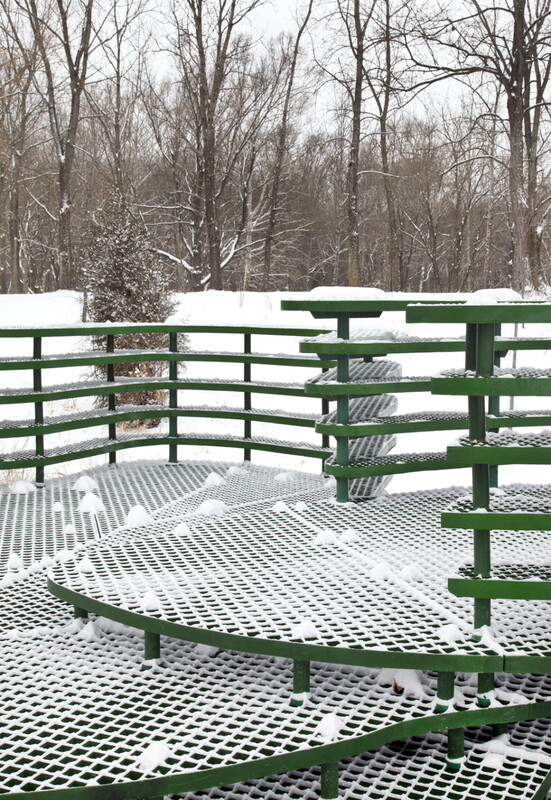 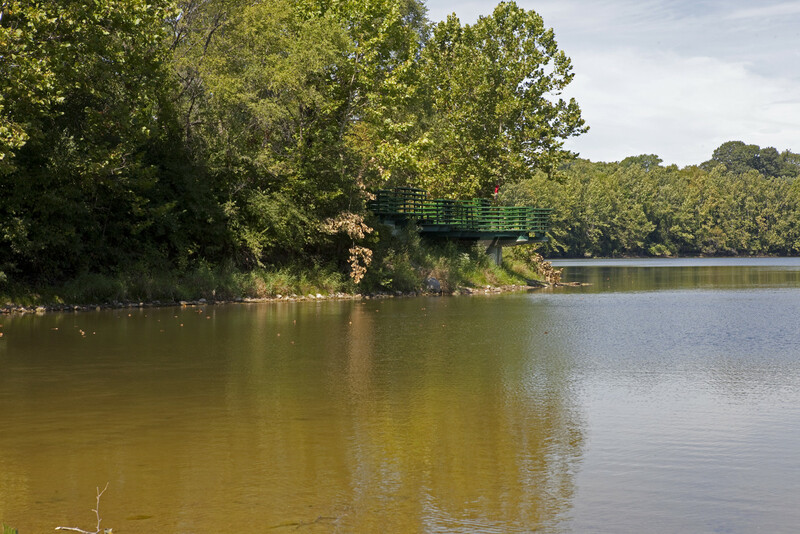 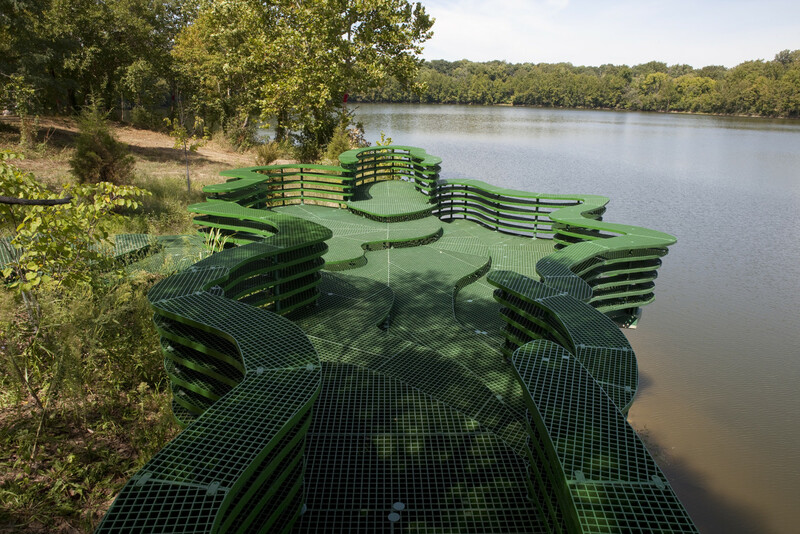 Situated adjacent to the large lake at the center of the park, the piece serves patrons and visitors as an overlook of the lake and as a visual blind in the riparian overgrowth. 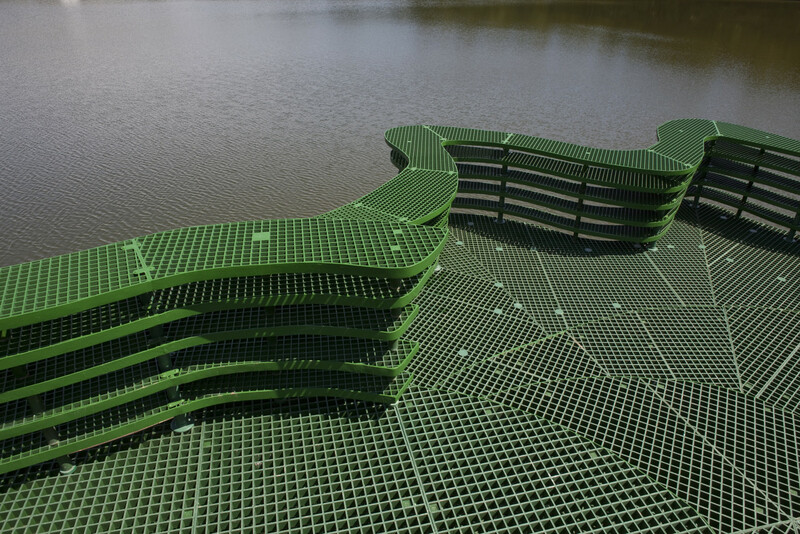 The layers of the pier recall the forms found on topographic maps of the site and evoke the natural forces of erosion and growth found in this landscape. 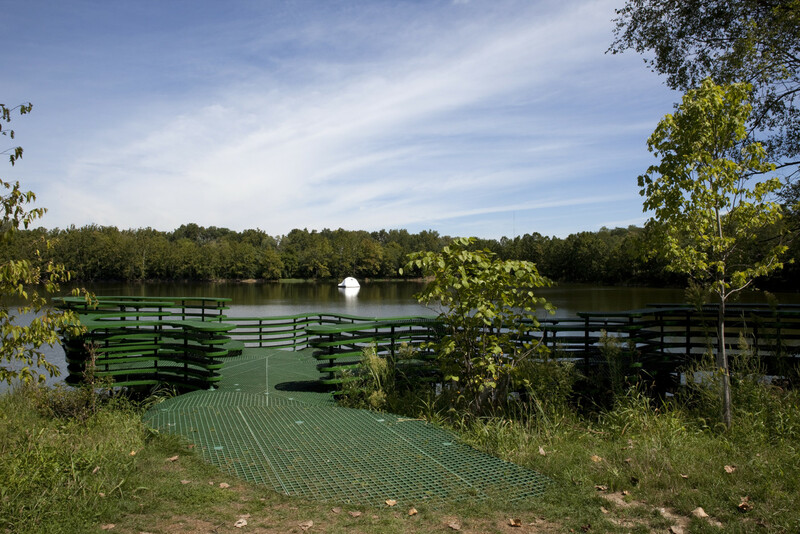 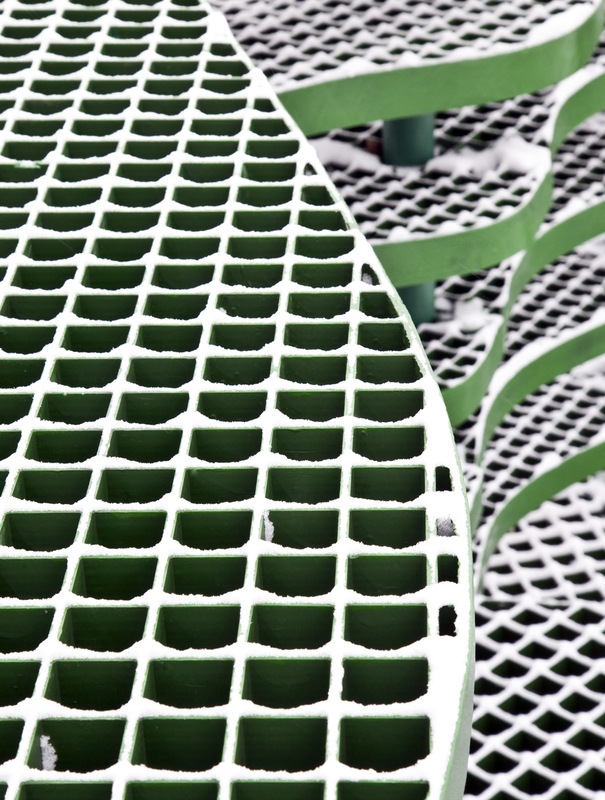 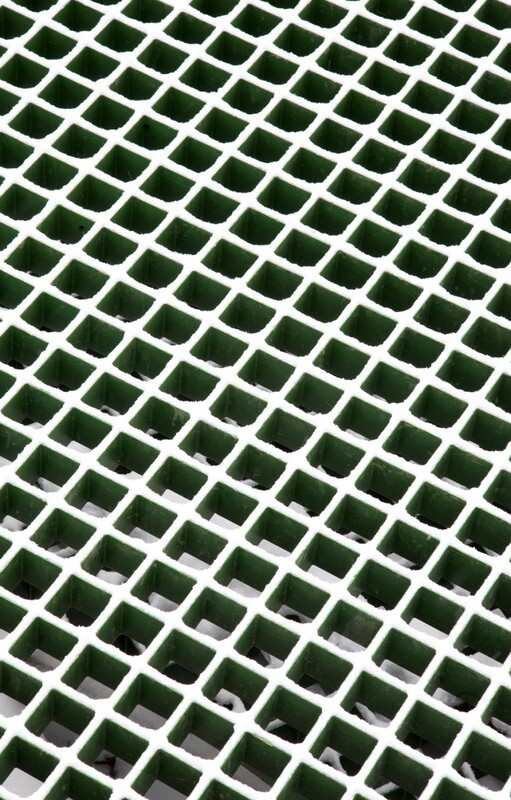 Constructed of sheets of molded fiberglass, steel and concrete, the piece is designed to withstand the climactic changes of the site, where water levels routinely vary by 10 feet or more, occasionally submerging portions of the piece. 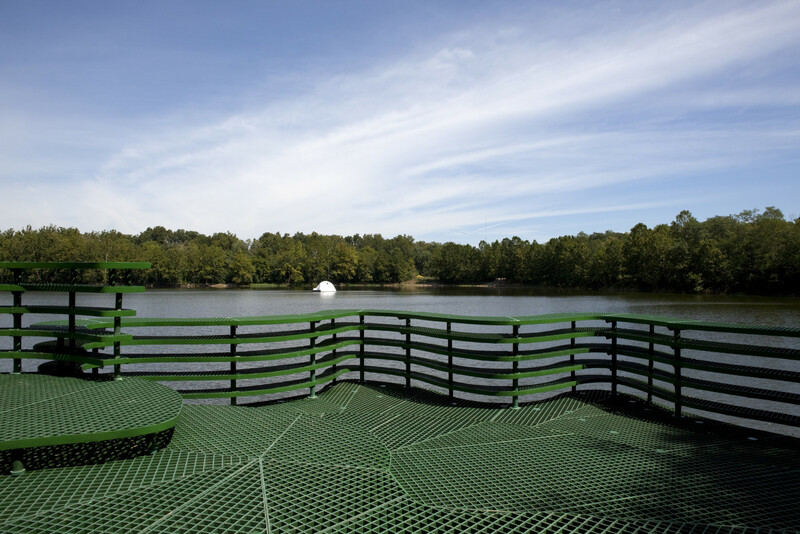 It has become a popular destination for museum-goers to enjoy the park as a whole.